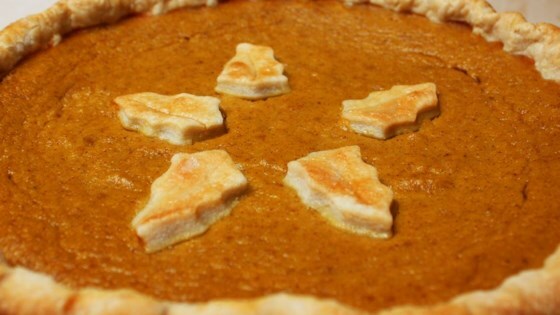 "This is the only pumpkin pie recipe I've ever used. It's been in the family for at least sixty years! Since, in our family, one pie is never enough, I like to triple the filling recipe and divide it into two pie shells, since, as my Mom always says, "No body likes a skimpy pie!" (Of course, this will add a few minutes to the baking time, too.) Originally submitted to ThanksgivingRecipe.com." This recipe made a fabulously thick pumpkin pie. It was a hit during Thanksgiving and I didn't have to change a thing.